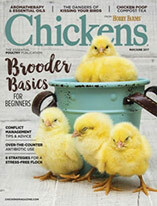 If you have a hen that’s stopped laying and you suspect a bound egg to be the problem, here’s how you can nurse your chicken back to health. The hen might continue producing eggs behind the stuck egg. The hen cannot eliminate waste, because the egg is blocking the digestive system’s access to the vent. Each is serious enough to kill a hen. Sudden illness and changes in behavior are easy to notice in our hens, but nearly all symptoms can be indicative of many illnesses. When a chicken becomes sick, there’s often little time to act to save her, so we do what we can. 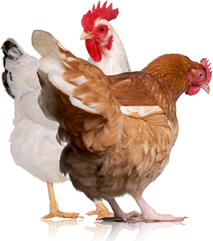 Symptoms of illness in chickens include lethargy, droopy wings, pale comb, and reluctance to eat, drink, leave the nest box or stand. If the chicken is normally not easy to catch or hold, she’ll be easy to handle when she’s sick—she won’t have the energy to avoid you. If the hen is egg bound, you might be able to feel the egg from the outside of her belly. In this case, soaking her in a warm Epsom salt bath in a small tub of water can help her muscles relax her enough to pass the egg. Soak her for 10 to 20 minutes, and then gently dry her off. Isolate her from the flock in a warm, dark, dry place to give her time to pass her egg. If she doesn’t pass the egg, repeat the process until she does. Wearing gloves, you can attempt to help the process along by applying some olive oil or petroleum jelly on and just inside her vent. A lucky hen will temporarily halt laying while she’s bound, which buys her some extra time to try to pass the egg, so long as she’s still able to eliminate waste. If you suspect the hen is egg bound but you can’t feel an egg, the soaking and isolation treatment can help move one along if it’s trapped. If the hen does produce an egg after treatment, and then bounces back to health, she was indeed egg bound. Unfortunately, if she passes an egg but her health continues to deteriorate, she probably wasn’t egg bound but was suffering from some other illness. Now, let me address one method recommended by some for removing a bound egg: piercing the egg with a syringe, sucking out its contents, crushing the egg and pulling out the pieces. Unless someone who is skilled, like a veterinarian or veteran farmer, has taught you how to perform this procedure, don’t attempt it. This procedure can kill a hen that might otherwise pass her own egg from the gentle care of soaking and isolation. If the hen never passes an egg and dies, the only way to know if she was egg bound or not would be to look inside for a cause. Chickens often stop laying eggs when they’re sick, and they often die from viruses, parasites, bacterial infections, and even ovarian and other cancers. Unfortunately, cessation of laying isn’t a gleaming indicator of egg binding. 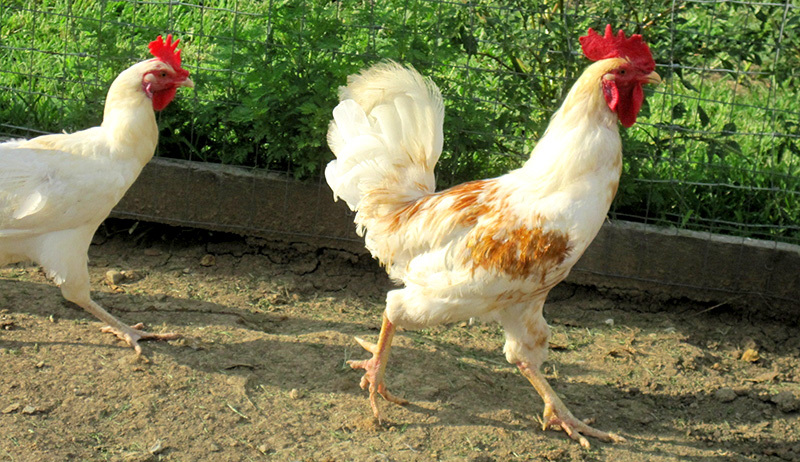 Sometimes, we can help our chickens; other times, there’s nothing we can do but let them go. Chickens are rarely mildly ill. Unless their feed is poor quality, they’re either bounding with vitality or on their death nest. Thankfully, bound eggs are rare. 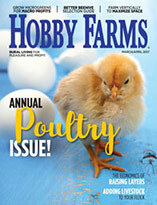 They’re most common in pullets that begin laying too young and in hens whose bone structures are too small for their eggs—genetically, these are hens that shouldn’t reproduce and pass on traits that lead to more egg bound-prone generations. Lifestyle factors, like calcium deficiency for proper muscle contraction along the oviduct or too much protein that causes eggs to develop larger than usual are also risk factors.